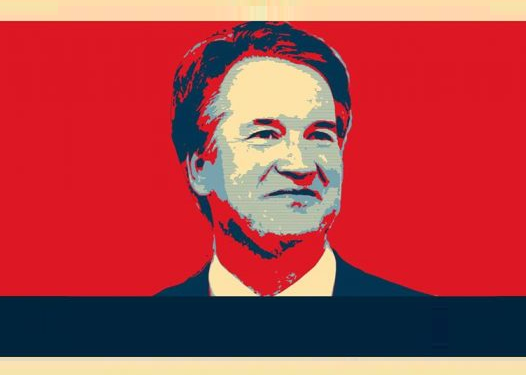 Kavanaugh – How Long Can This Circus Last? In case you missed it, the comedy team over at Saturday Night Live decided to show Mr. Kavanaugh’s hearing from one side of the story during last night’s episode. Played by Matt Damon, it focused mainly on the man’s drinking habits whilst a teen, and on the markings on his calendar. The judge’s hearing has by now gone global. Even in Europe, every evening newscast started with Kavanaugh on Thursday and Friday, and next week will be similar. Yes, the handmaidens which we’ve seen all over this week have found an aid in the mainstream media to help them get rid of Trump’s pick for the Supreme court. Americans realize that this national nightmare will go on for at least another week. By agreeing to an FBI investigation, all that happened is that the can was kicked down the road just a bit further. Perhaps the Democrats will spring up another accuser which will be announced in the morning by her lawyer, presented to the public in the afternoon by the mainstream media, and have her life turned upside down by the evening on social media. The Democratic senators who played their part of staging a dramatic walkout and subsequent press conference during the hearings (in order to promote some of the 2020 hopefuls) were quick to heap praise on Arizona Senator Mr. Jeff Flake for what they perceive is his “bipartisanship,” but commentators on the conservative side were equally quick to point out that although Mr. Flake, or even Ms. Susan Collins of Maine for that matter, regularly join the other side, the favor is rarely returned. Even the more centrist Democrats haven’t been seen in the past two years supplying needed votes for the Trump White House to gain a majority on anything. Related coverage: <a href="http://thegoldwater.com/news/38334-Kavanaugh-Falling-Republican-Female-Support-Means-A-New-Deus-Ex-Machina-May-Be-Needed"> Kavanaugh – Falling Republican Female Support Means A New ‘Deus Ex Machina’ May Be Needed</a>. Of course, by now no one can sincerely doubt anymore that the upcoming midterm elections will be linked to Mr. Kavanaugh’s pending confirmation or his replacement. Each side will use any outcome to rattle the troops. The hunt for any party to get an edge over the others will go right up to Election Day, and no trick will be too dirty, especially for Democrats who have proven themselves masterful at using this stage to outshine their progressive left-wing hopefuls. After all, with all the events of this week, who speaks of Ms. Ocasio-Cortez anymore? Admit it . This is a battle by the Socialists to control the SCOTUS Justice picks. So that whom ever is picked will read into the US Constitution to allow their agenda. BTW: Scratch Matt Damon off my Movie/TV watching list that I shell out $$$$ to see. When will the FBI investigate the Socialists in Congress? They are openly calling for physical harm and etc. of the President, his staff and SCOTUS picks. Now... Let's see the skit of the accuser in her whiny voice and tearless cry with all the little nervous ticks while snorting and drinking her coffee, saying a hundred times she can't remember. But she is 100% sure. That should be pretty funny!